The first Wednesday of each month features a document or item from the State Archives considered a treasure because of its significance to the history and culture of our state or because it is rare or unique. Sometimes the featured item just illustrates a good story. The items highlighted in this blog have been taken from the exhibit, “Treasures of Carolina: Stories from the State Archives” and its companion catalog. Chase Ambler, M.D., nature enthusiast from Asheville, stands on a mountain cliff in 1910. He remarked that his view was of an “unbroken forest canopy to the horizon.” Dr. Ambler, his associates and friends laid the foundation for the eventual development of national parks in the Southeast by establishing the Appalachian National Park Association. Efforts to establish park and forest reserves in the Southern Appalachian Mountains date from the 1880s, the push prompted from both the tourist industry and from the conservation movement, especially those concerned about flooding in deforested areas and destruction of scenic views. This photograph and other materials from the association are preserved at the Western Regional Archives in Asheville. Photograph, 1910, General Records, Appalachian National Park Association, Western Regional Archives. This entry was posted in News and tagged Photographs, treasures on December 5, 2018 by avgabriel2. The Military Collection at the State Archives of North Carolina needs the public’s help in identifying a set of photographs from World War II that have no identifications or descriptions. The photographs are from the papers of Raleigh native, William C. Cutts, who served in the Pacific Theater in WWII as an aircraft fabric and dope mechanic with the 69th Depot Replacement Squadron, 301st Air Depot Group, U.S. Army Air Forces. Cutts worked as a civilian at Seymour Johnson Field in Goldsboro before being inducted into military service in 1944. As a civilian and later as an Air Force mechanic, Cutts was listed as an aircraft fabric and dope worker, which involved laying out, cutting and sewing, and treating airplane fabric to cover damaged control surfaces and airplane fuselages. He would cover and patch airplanes’ surfaces with fabric, applying paint and dope to the fabric [dope is a type of lacquer applied to fabric-covered aircraft, that tightens and stiffens fabric stretched over airframes, rendering them airtight and weatherproof]. 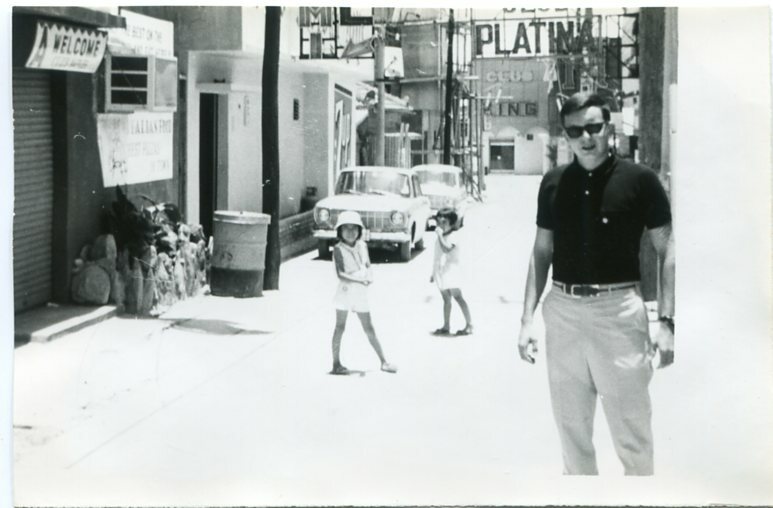 It is unclear as to where Cutts was stationed in the Pacific Theater during the war. 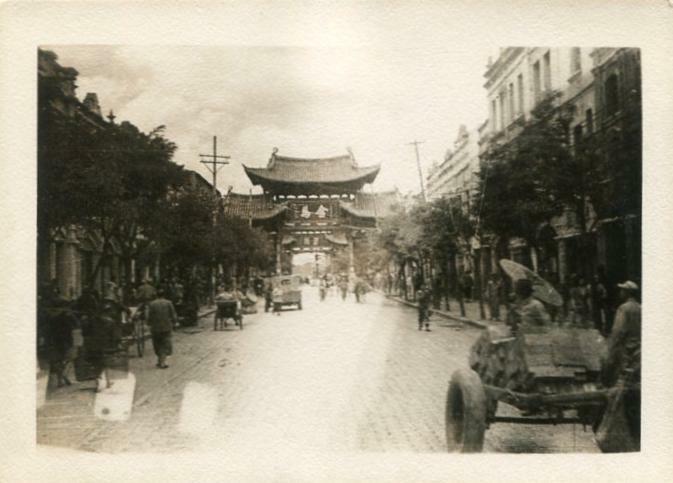 The photographs in Cutts’ papers are a set of original reproduction photographs of scenes in Asia made during or just after WWII. The photographs all appear to have been taken in the China-Burma-India (CBI) Theater of WWII, in southern and eastern Asia. However, it is not readily evident from his service papers that he ever served in the CBI Theater—just in the Pacific. It is also not known if Cutts took or—more commonly as WWII servicemen did then—collected the photographic prints. Even so, the photographs show rare scenes of the CBI Theater. Towards that end, we need the public’s help in identifying the images. All of the photographs have been uploaded into the State Archives’ Flickr page in the album “William C. Cutts WWII Images” [insert link: https://www.flickr.com/photos/north-carolina-state-archives/albums/72157694493198435]. We are asking for members of the public to help with the descriptions of the photographs. You can create a free Flickr account and add comments to these photographs with any information you may have on them. We need to create image descriptions that are reliable and historically accurate for researchers and the public who are relying on our historical materials for research, exhibits, school assignments, and public programs. Because of this, we need to know the information you have on the image, how you know it (if from a website, please include a link to the page), and your name. If you personally recognize an area or scene from experience or family knowledge, please share the information through the image comments. Not all of the information will be used for the descriptions—as some of it may contradict what others have given. Also, we need reliable sources of information, so Wikipedia and Pinterest are not accepted as sources of information. If there is a comparable photograph online through another archives, museum, military veteran, or even the Library of Congress, please share that link in the comments on the images in the Flickr album. The Military Collection Archivist will research the images using all of the provided information, comparing and contrasting what has been provided from the public for the most reliably-accurate image descriptions. The photograph descriptions on Flickr will be updated after they are completed, and the collection finding aid will have the descriptions added. We will be adding the names of people who assisted with the image descriptions to the William C. Cutts Papers finding aid, so you all will be credited for the effort. WWII 112.F1.1: Small contact print of a studio portrait of the Cutts family of Raleigh, N.C., during World War II. 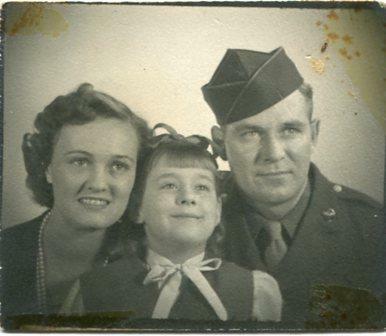 Pictured are (left to right): Mary Jeanette Champion Cutts; Mary Jeannette Cutts; and William C. Cutts (wearing his U.S. Army Air Forces uniform) (1940s) [from William C. Cutts Papers, WWII 112, WWII Papers, Military Collection]. WWII 112.F2.9: Unidentified scene during World War II, believed to be in the CBI Theater [from William C. Cutts Papers, WWII 112, WWII Papers, Military Collection]. Did everyone have a goat cart in the 1930s? North Carolina. Evidence within the collection suggests these children are related, and the goat appears as if he might be the same individual goat in both pictures, yet the carts are different and bear these different numbers. We asked ourselves “What do these numbers mean?” And “Why are these children in these goat carts in the first place?” We looked for evidence in the other photos in the Jordan material, but no more goats or carts or related photos were there. Reluctantly we put down this small mystery and Ian completed the arrangement and description of the collection. Not long after the Jordan Collection was finished, though, it seemed to us as if goat cart pictures were popping up everywhere we looked, and despite our best efforts to stay on task and proceed with our prescribed work, we simply had to take a brief detour down the goat cart rabbit hole! And what a fascinating little journey it has been. In short order simply through Internet research, we learned not only what the seemingly strange numbers mean but also quite a bit about a relatively short-lived but wildly popular fad of itinerate photographers using the cuteness and novelty of a goat and a little cart to boost their business. Itinerant photographers were common in the US in the early 20th century. They traveled from town to town in rural and urban America and for the most part took informal photographs. Some specialized in portraits and set up temporary studios in tents or at local fairs, some documented businesses and churches in the towns they visited, some took “man on the street” type photos, and some employed props like goat carts or “billy carts” as they were also known. PhC.24.22 An unidentified girl is seen in a goat cart c. 1939. A goat cart was typically like a magnet to children in any town, and at the instigation of the photographer, the curious children would be invited to approach the spectacle coming down the street and pose in the little cart – with or without parental permission or oversight. And the photographer would snap picture after picture as delighted children took turns in the cart, squealing with delight, and drawing the attention of more and more children and adults. The carts were often colorfully decorated, and many were numbered on their sides as if they were part of a fleet. Each cart usually had a plaque on the front as well with the year and often the name of the town painted on it, thus making a photo of a child in such a cart an instant precious keepsake. The simple genius of appealing to the universal instincts of children to love cute furry animals and rides, and preying on the sentimentality of parents to indulge their children and want pictures of their children, especially when they are doing something adorable, guaranteed the goat cart racket to be a nearly fool-proof revenue generator for photographers through the 1930s. Even as the Great Depression raged, photos of children in goat carts continued to be popular throughout the country, bringing much needed levity to otherwise dreary lives. With the advent of the Second World War, however, itinerate photographers became less prevalent. Everyday people began having cameras of their own and became accustomed to taking their own informal pictures, and the era of the goat cart as ubiquitous photographic prop came to an end. Fortunately, the State Archives of North Carolina has a number of these strangely common yet not-widely-understood photographs of happy children in tiny goat carts. If any of our readers here can help us identify these children, this goat (!) and/or the location where these photos were made, we welcome your input. If any of you have photos depicting goat carts like this in North Carolina or by North Carolina photographers, we would very much like to know about them, too. The State Archives of North Carolina is always interested in learning what is out there and how we can best serve our public both as a source of information and as a repository for the long-term preservation of records documenting the history of the state. Images from the C. H. Jordan Photograph Collection, PhC.24, State Archives of North Carolina; Raleigh, NC. PhC.24.21 An unidentified boy is seen in a goat cart c. 1937. Jordan, C. H., Photograph Collection, 1870-1940 – Collection of 25 photographs and two greeting cards. The photographic material consists of tintypes, card photographs, cabinet cards, silver gelatin prints and photo postcards. The photographs are mainly portraits and are purportedly of the Ruffin family of the Nash, Edgecombe, and Wilson County area of North Carolina. This entry was posted in News, Special Collections and tagged Photographs on March 9, 2018 by Francesca. One of the goals of the Military Collection in the coming years is to grow its collection of materials documenting North Carolinians and North Carolina military installations during the Vietnam War era between 1961 and 1975. We are excited to announce the availability of the recently-processed Grover M. Johnson Jr. Papers. 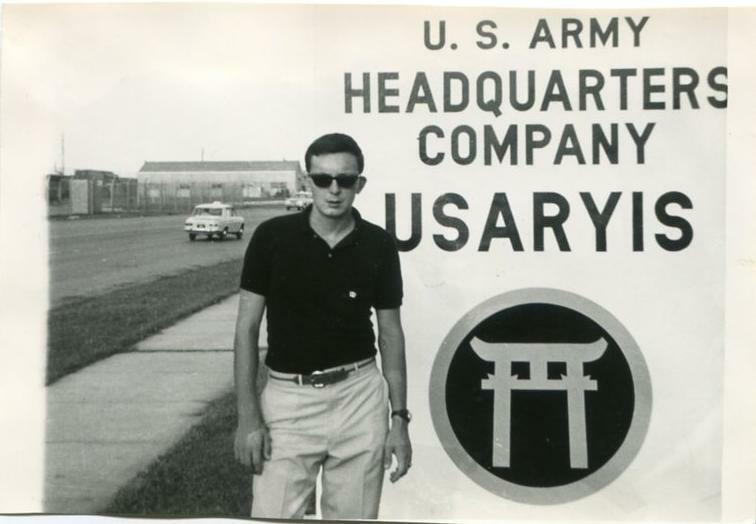 The Grover M. Johnson Jr. Papers is composed of correspondence, photographs, 35mm and 126 Format color slides, and miscellaneous materials, documenting the U.S. Army service of Grover M. Johnson Jr. of Siler City, N.C., during the Vietnam War from November 1966 to October 1968. He served for several months in the 569th General Supply Company at the U.S. Army’s Camp Davies, just outside of Saigon, Republic of Vietnam. For most of his overseas service during the war, Johnson Jr. served on Okinawa in the Headquarters Company at Headquarters, U.S. Army Ryukyu Islands (USARYIS). The bulk of the collection is composed of Johnson Jr.’s letters from November 1966 to September 1968, which document his daily existence in military camps, doing guard duty in Vietnam, his sightseeing and travels, activities and sports he engaged in, and the average life of a non-combat Army soldier during the war. The correspondence gives Johnson Jr.’s impressions of the culture and society he encounters in Saigon and Okinawa. Perhaps the most significant items in the collection are the 178 photographs, 35mm color slides, and 126 Format color slides taken by Grover Johnson Jr. as a hobby while he was stationed in Vietnam and Okinawa. The majority of the photographs were taken in and around Saigon and Camp Davies in 1967, and the color slides were all taken on Okinawa in 1968. They offer a rare, unedited look at civilian and soldier life just as the Vietnam War was escalating. The collection is available for research in the Vietnam War Papers of the Military Collection at the State Archives of North Carolina. All of Johnson’s Vietnam photographs have been digitized, and are available for viewing online with full descriptions through the State Archives’ Flickr page. This entry was posted in News, Special Collections and tagged Military Collection, military history, Photographs, Vietnam War on December 18, 2017 by Ashley. Stewart Family Ledger and Scrapbook, available online through the NC Digital Collections. The Travel Perspectives collection is now available online via the North Carolina Digital Collections. This collection features narratives and images of tourism as experienced by North Carolinians, found within the holdings of the State Archives of North Carolina. These documents consist of letters, scrapbooks, journals, photographs, postcards, newspaper clippings, and other material related to the representation of the creator’s travels and experiences. The collection consists of items dating primarily from the 1850s through the 1950s, representing the first significant wave of mass tourism in which North Carolinians participated. Another digital collection of interest includes the Historic North Carolina Travel and Tourism Photos Project, which includes a series of photos, originally used in advertising campaigns to market the state as a travel destination, produced between 1929 and 1970 by the Conservation and Development Department, Travel and Tourism Division. This entry was posted in Digital Collections, News, Special Collections and tagged diaries, history, North Carolina, North Carolina Digital Collections, Photographs, Private Collections, scrapbooks, tourism, travel on December 12, 2017 by Sara.